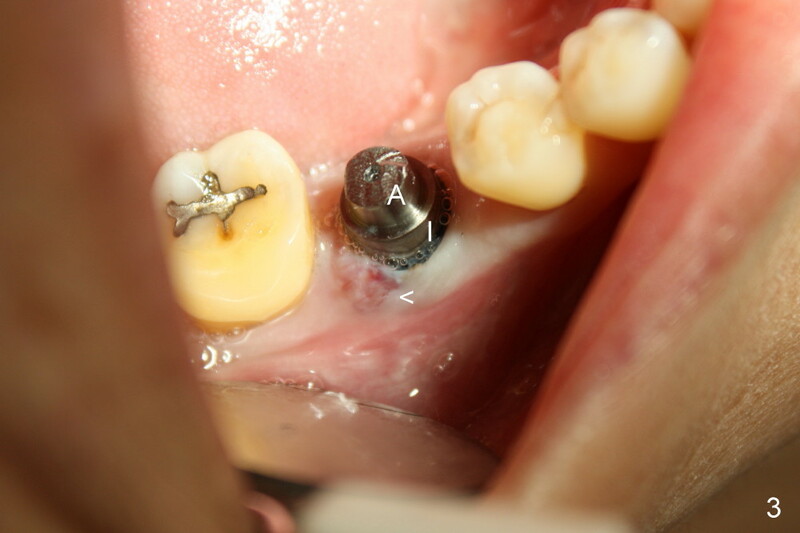 A gingiva-level implant (Fig.1 I) is placed immediately in the extraction site of the tooth #30 (*: remaining mesial and distal sockets after implantation). 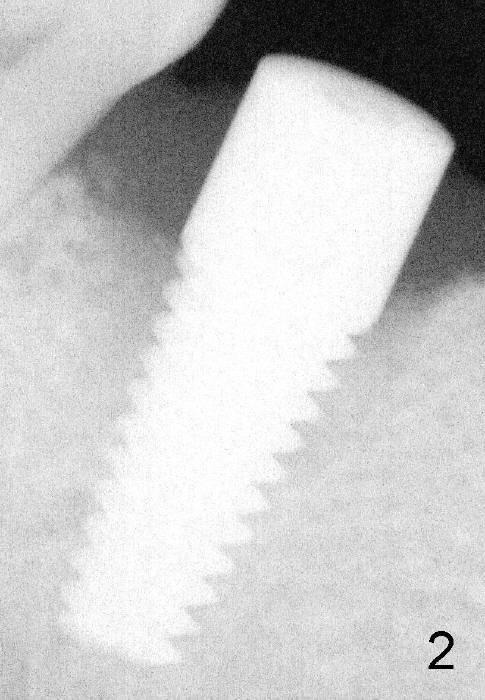 There appears to be no bone growth in the sockets 4 month postop (Fig.2), although the implant is stable. 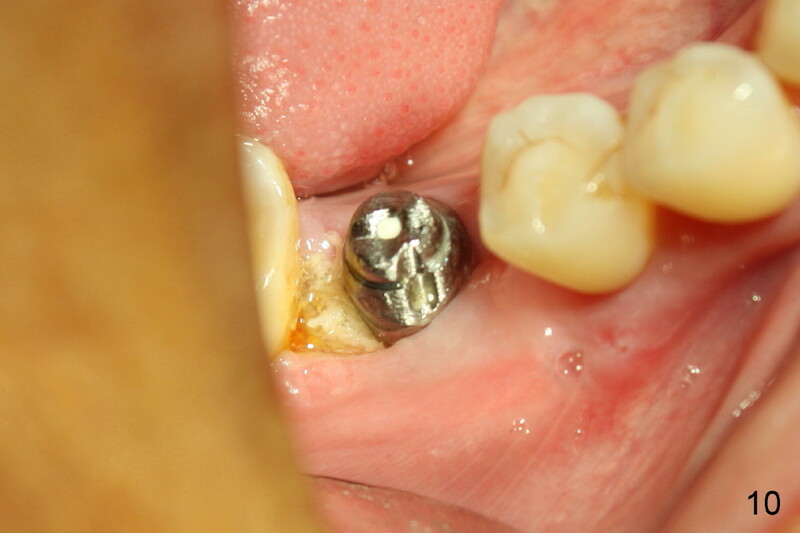 Clinically there is sign of infection (Fig.3 <) distobuccal to the implant (I). Since the patient is asymptomatic, it feels that the infection may resolve by itself. The abutment (A) is placed and impression is taken. 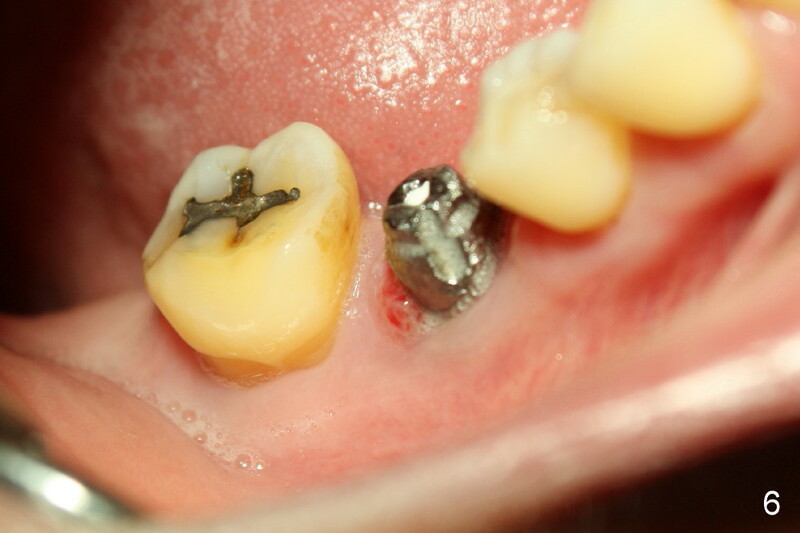 Fourteen days later, the infection remains (Fig.4) after seating the permanent crown. 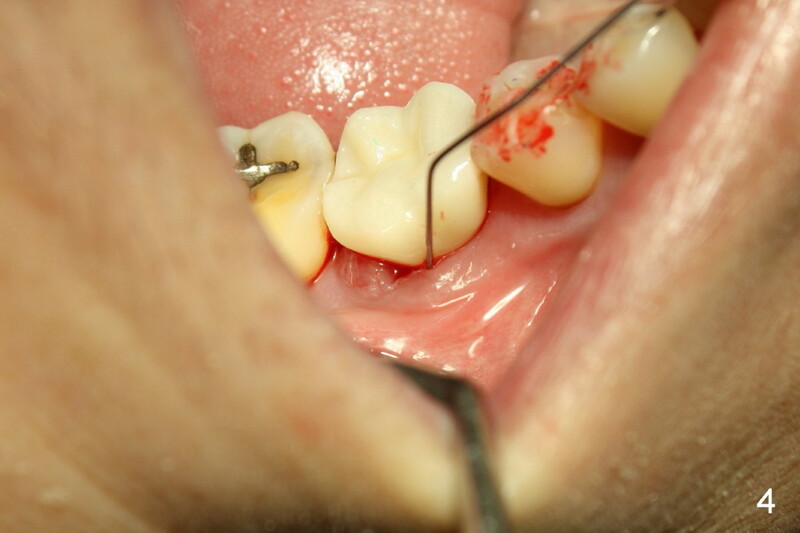 The infection may be related to chronic infection at the tooth #9. The latter is extracted, but the infection at the site of #30 does not resolve (Fig.5,6). 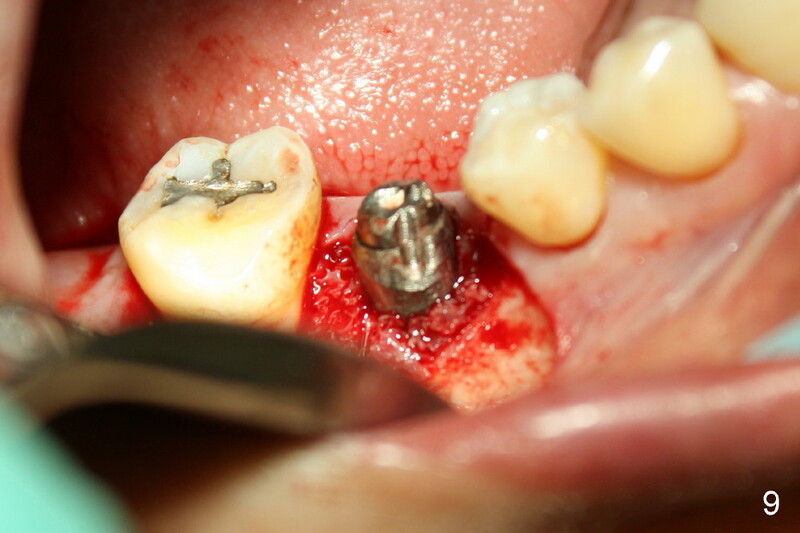 The buccal flap is raised to reveal granulation tissue distobuccal to the implant (Fig.7). 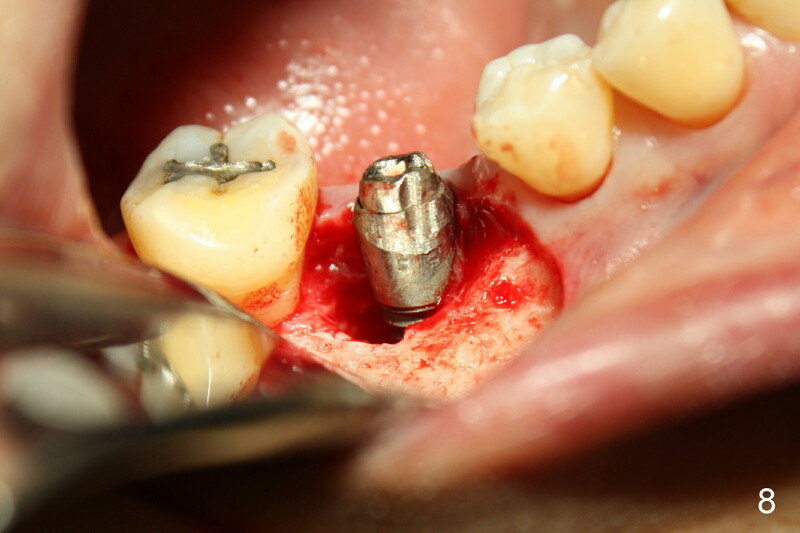 Bony defect and implant thread exposure are shown after debridement (Fig.8). 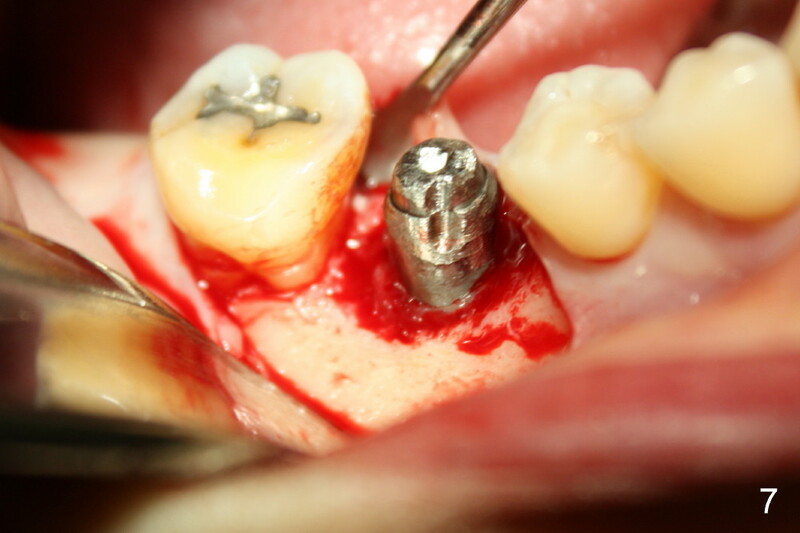 Irradiated cancellous bone graft is placed to the defect (Fig. 9, Rocky Mountain Tissue Bank). The flap is closed with relative tension free. The definitive crown is temporarily cemented. The graft is exposed with no infection 2 week post grafting (Fig.10). 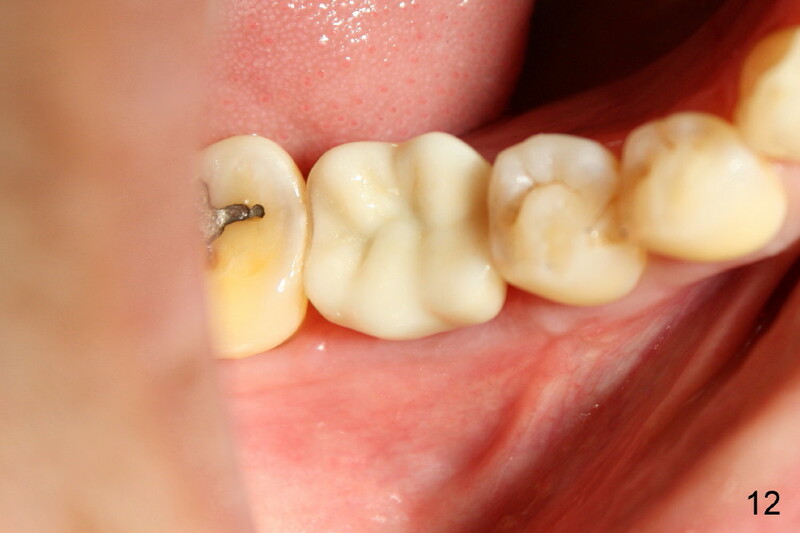 The distobuccal defect appears to have healed 5 months post grafting (Fig.11) and the crown is permanently cemented (Fig.12). 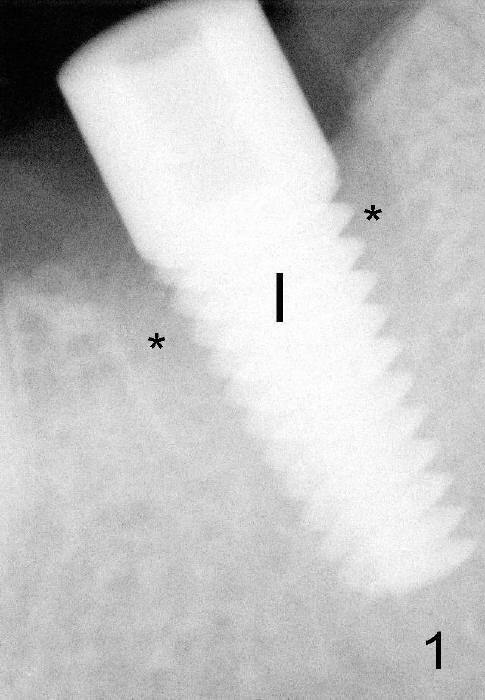 There is no buccal bone resorption, probably associated with immediate implantation. The patient remains asymptomatic 13 months postop. 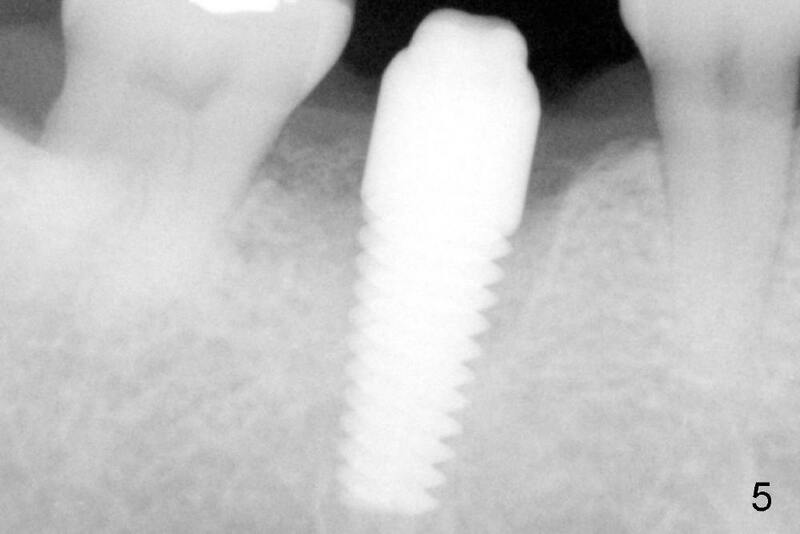 Retrospectively, the delayed implant infection should be handled surgically in a timely manner. The abutment should not have been installed. 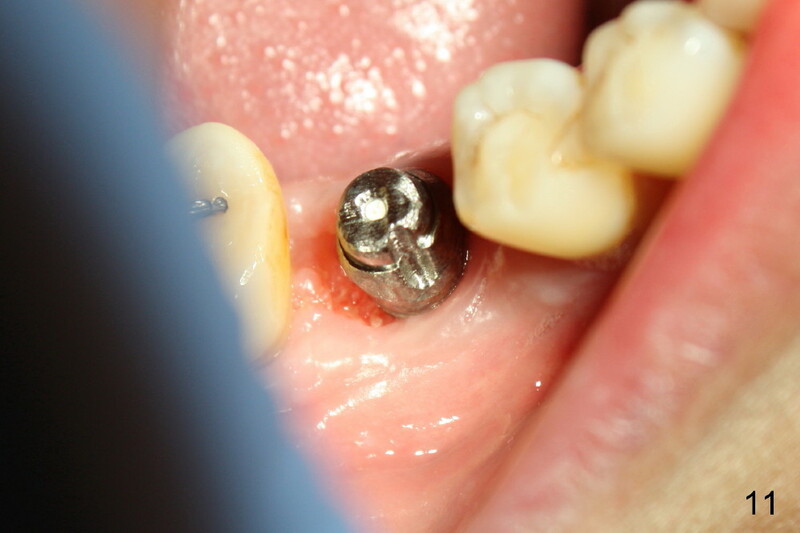 Without the abutment and crown, primary closure may be achieved after bone grafting, especially with a bone-level implant.